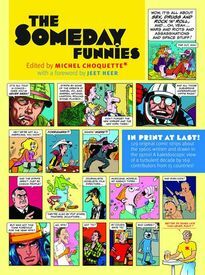 edited by Michel Choquette Well, here's something you don't see everyday: a comics anthology that has been completed but unable to find a publisher for nearly forty years, finally being published! As readers of The Comics Journal #299 – the cover feature of which was an in-depth article on the history of this volume – already know, this volume had reached a legendary/mythical status. Robert Greenfield's introduction squarely situates the work contained in this volume as a document of "The Sixties," While comics critic/historian Jeet Heer's foreword provides ample context and background for the comics work the book contains as well as a chronology of its epic 40-year journey from inception to publication. We've barely dipped out toes in this majorly oversize – 11" x 17" – 216 page, full color hardcover volume containing 120 comic strips by 169 creators, so we're not going to say much about the contents at this time, but we will provide you with some of the contributors, and let you do the math: Jack Kirby, Will Eisner, C.C. Beck, Wallace Wood, Harvey Kurtzman, Arnold Roth, Don Martin, Gahan Wilson, Bobby London, Trina Robbins, Vaughn Bodé, Steve Englehart, Archie Goodwin, Denny O'Neil, Ralph Reese, Alan Weiss, Herb Trimpe, Frank Zappa, Harlan Ellison, William S. Burroughs, Roy Thomas, Barry Smith (before he added Windsor) Guido Crepax, Ralph Steadman, Leo & Diane Dillon, Walter & Louise Simonson, Justin Green, Bill Griffith, Red Grooms, Russ Heath, Jay Kinney, Denis Kitchen, (a very young) Art Spiegelman, (also very young) Stan Mack, Ever Meulen, Joost Swarte, Tom Wolfe, Federico Fellini, and many, many more! 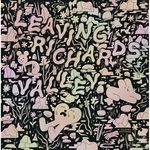 Also included is a "92-drawing take on Choquette's travels by Michael Fog" that parallels and brackets the comics the volumes contains. Surprisingly (at least to us), the intent to create an interweaving bracketing tale was a component of the original volume's conception, and blank spaces were deliberately left in many of the pages at Choquette's instruction.